With temperatures set to plunge this week, new research reveals how unprepared many drivers are for the onset of freezing weather. With the Met Office predicting snow in some parts of the country, along with the thermometer dropping to -5 degrees Celsius in rural areas, Green Flag shows how to get your car ready for cold weather. Less than half of drivers (48 per cent) prepare their car for freezing conditions and a survey by tyre firm Goodyear found a mere 15 per cent take their car to be serviced ahead of winter weather. 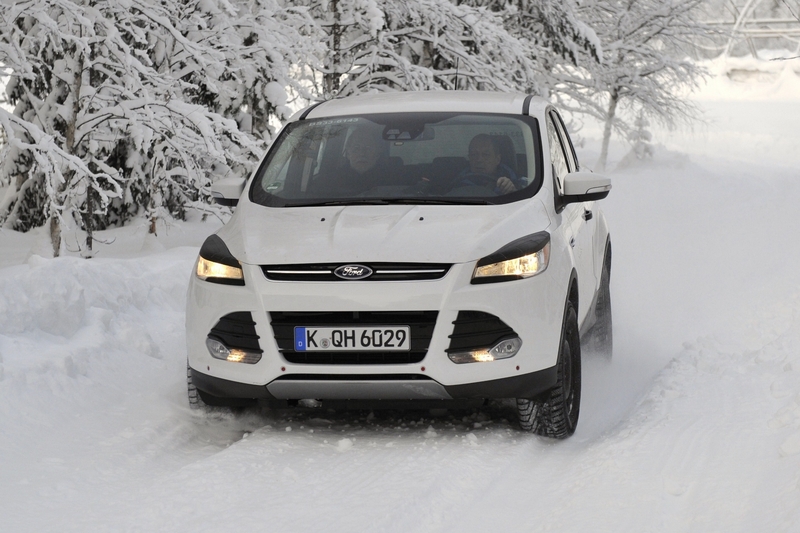 The same research found that more than half of drivers found motoring in snow and ice nerve racking. And 44 per cent said they try to use their car less in the winter and they worry about driving in dark and cold conditions. Drivers in the West Midlands were the most nervous in winter. More than a third said they didn’t like driving in cold weather. Drivers in the south east were the least likely to be affected with just a fifth claiming it was a problem. Garages should check coolant and add anti-freeze where necessary when the car is serviced but they don’t always do this. You can buy a simple anti-freeze testing kit and, if necessary, anti-freeze at motor retailers. Tyres are your car’s only connection with the road. To ensure they perform at their best they need to be at the correct pressure. You will find this on a sticker either on the inside of the fuel flap or on the driver’s door pillar. The minimum legal tread depth is 1.6mm but tyres’ stopping ability on a wet or slippery surface starts to deteriorate when tread wears below 3mm. Seeing properly and being seen are both vital to staying safe in winter weather. Even if you think it’s pointless washing your car, wipe a damp cloth over the lights and clean all the glass outside and in. Then make sure you’ve got enough windscreen washer fluid. Cold weather is hard on batteries. They generally last about six or seven years but if you do a lot of short, low-speed journeys, it may not be that long. Many garages and fast fit chains offer free battery tests during the winter. That will give you a good idea if your battery can cope with the winter or if it needs replacing. If you do a lot of miles, ensure you have the right equipment in your car. An ice scraper is vital. A torch can be helpful (you might not want to run your mobile phone battery down), and a tow rope can prove useful too. Ensure you have a blanket in the car and a collapsible shovel could come in handy. A warning triangle and reflective vest are cheap ways of ensuring you stay safe if you do break down. And warm clothes and sturdy shoes will ensure you’re prepared if you have to go for help or wait to be rescued.